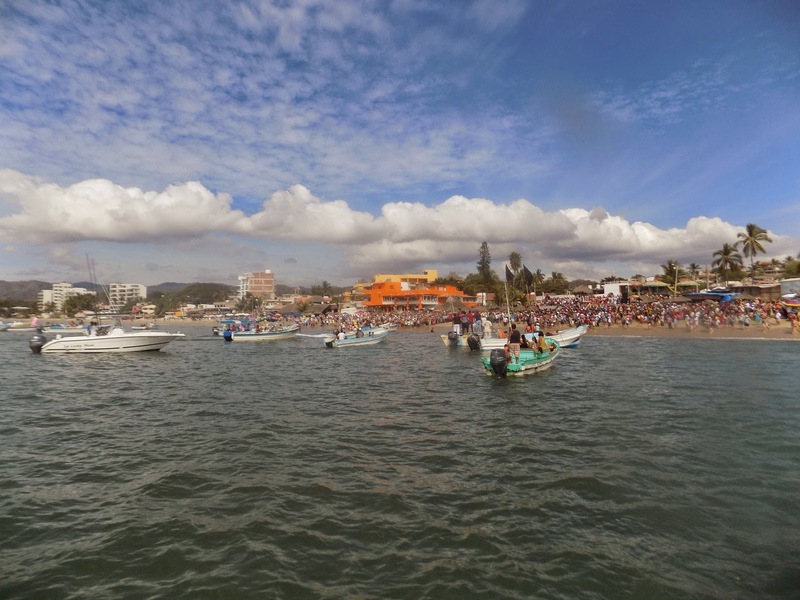 The Bucerías Patron Saint Feast and the Taste of La Cruz have become the focus of intense activity both by locals and tourists; the migratory birds have arrived in San Blas and everything is ready for its own Patron Saint Feast. The Riviera Nayarit has natural attractions that serve to, well, attract visitors. However, the local traditions and the events created to promote the micro destinations have also been an important factor in the recovery of the regional tourism. The Bucerías Patron Saint Feast and the Taste of La Cruz are good examples. These two festivities have considerably increased the influx of tourists and revenue to the coastal villages that host them. For instance, the day of the marine pilgrimage that was held during the festivities of Our Lady of Peace was witnessed by nearly four thousand people, when normally there are only about 500 people on any given day around the main plaza. This 54-year-old tradition highlights the union among the fishermen, divers, shopkeepers and the townspeople. With the support of the authorities, they were all able to affirm their faith through this festival, which enjoys a mixed audience of nationals and foreigners. On the other hand, the Taste of La Cruz is a culinary event that mainly targets foreigners but is equally appealing to nationals. It brought in about two thousand people and generated approximately one million Mexican pesos in a single afternoon. This event espouses the promotion of the rich gastronomy of the Riviera Nayarit. The migratory birds arrive in San Blas… along with the Patron Saint Feast. The XI International Migratory Bird Festival in San Blas has begun with a double purpose, which is to the share both the culture and the natural beauty of the Historic Port of San Blas. Hundreds of endemic and migratory birds are the protagonists and main attractions, generating tourism from different areas. Click the link for the complete schedule: https://www.facebook.com/fiamsanblas. The most important day of the Patron Saint Feast for St. Blaise, or San Blas, is February 3rd, when they sing the traditional mañanitas and, as in Bucerías, the fishermen take to their boats on a seaborne pilgrimage to ask for a good year. Both events revolve around the local culture and undoubtedly trigger tourism for San Blas, as did the ones in Bucerías and La Cruz de Huanacaxtle. This is why the Groups and Events office of the Riviera Nayarit Convention and Visitors Bureau (CVB) spares no expense in its support of all the cultural events that serve the people of Nayarit.